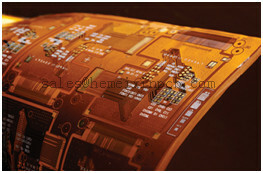 Product categories of Kapton Flexible PCB, we are specialized manufacturers from China, Polyimide Based Flexible Circuit, Flexible Circuit Construction suppliers/factory, wholesale high-quality products of Flexible Film Circuit Boards R & D and manufacturing, we have the perfect after-sales service and technical support. Look forward to your cooperation! Hemeixin PCB produces high reliability flexible printed wiring interconnects. We are a TS 16949, ISO 9001, ISO 14001 and IPC 6013 certified manufacturer of Kapton Flexible PCB. The most compelling difference between Flexible Circuits versus rigid circuits is flexibility.Flexible circuits are usually much thinner and are able to conform to the spacing limitations and environments into which they are installed.